In the US, the private, not-for-profit Insurance Institute for Highway Safety (IIHS) performs the most comprehensive and most highly respected safety analysis of passenger vehicles. The Institute was founded back in 1959, funded by the auto insurance industry, but really hit its stride with the Top Safety Pick awards program in 2005. But since that first year, it’s had a serious issue with semantics, and its inability to provide a consistent naming convention has resulted in mass confusion for consumers. In the late 1990s safety suddenly became much more fashionable. Automakers and magazines started to talk about and report on the results that cars earned in crash testing. 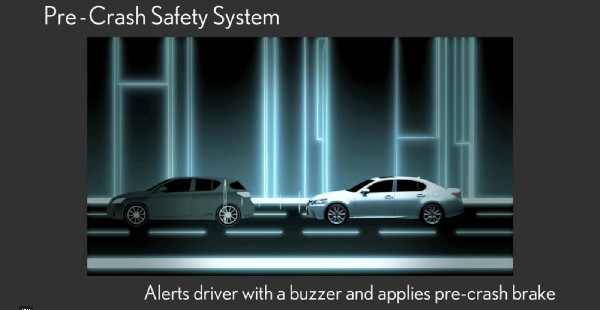 Automakers woke up and started to design their cars to be safer. The tide turned. 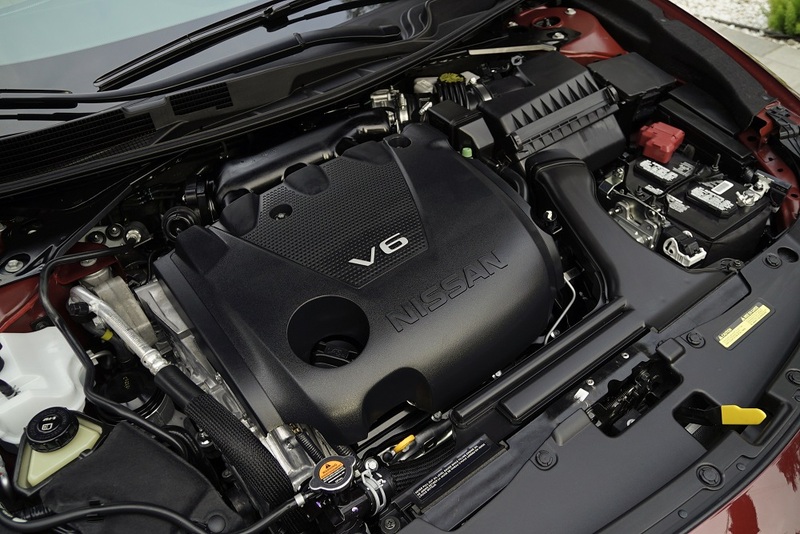 More and more automakers strived for the top scores, and they began to compete for them. The IIHS realized that the star ratings achieved in the National Highway Traffic Safety Administration (NHTSA) New Car Assessment Program (NCAP) focused on just a few areas of crash protection, and that an independent crash testing program could provide new car shoppers a lot more information. Unfortunately for everyone concerned — automakers, insurers, consumers — the IIHS’s rating system has always been at semantic odds with itself. On the one hand, the names of its ratings seem purposely dry and half-hearted. Below the top rating, a car can slip down into three other ratings: “Acceptable,” “Marginal” or “Poor,” which don’t seem to offer the instant recognition that a star rating might. The bigger issue is the top rating: The best rating a car can receive isn’t “Best,” it’s “Good.” When people see “Good,” there’s an automatic assumption that there must be something better than “Good,” but in the IIHS’s case, that’s not true. On the other hand, you’ve got to be able to market these ratings to remain relevant. Marketing a word like “Good” is a tall order. The IIHS came up with an award program called “Top Safety Pick” in 2005 as a way to annually make news when cars received “top ratings” — not “Good” ratings, according to the timeline on the IIHS website — in the three categories the IIHS rated at that time (front, side and rear crash tests). But there was a significant problem: Take a look back at the Top Safety Pick winners for 2006, the first year the award program was in full swing. There were two Top Safety Pick categories that year, “Gold” and “Silver”. 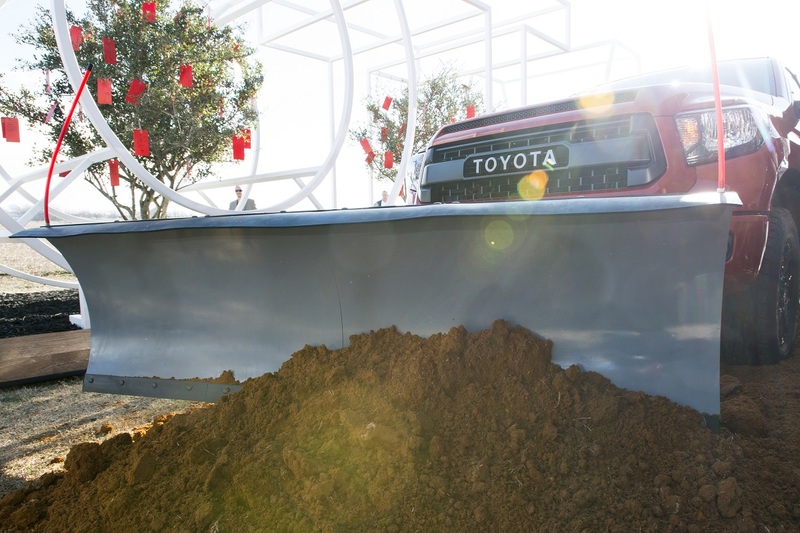 That year, only NINE vehicles qualified for Top Safety Pick Gold. There must’ve been no end to the flak the IIHS received from automakers. After years of installing airbags, seat belts and LATCH anchors to comply with NHTSA’s NCAP crash tests, only NINE cars would receive the top rating? So, quickly, the “Silver” rating went away. By 2007, the number of Top Safety Pick cars jumped to 23. From there, it became the equivalent of the results of an open-book, take-home exam. If you know what questions are on the test, and know where to look for the answers, you’d have to be an imbecile not to get an A. By the 2012 awards, the list of top safety picks had ballooned from those nine Gold winners in 2006 to 132. All of a sudden, it seemed like every car was being rated a “Top Safety Pick”. So, on August 14, 2012, IIHS changed the rules. The Institute added a much tougher type of front crash called the small overlap front test. Unlike the moderate overlap frontal crash the IIHS had been performing for years, in which 40 percent of the front of the car contacts a deformable (crushable) barrier, in this new test only 25 percent of the car’s frontal crash area — the driver’s corner — hits a barrier and this one does not squish. It is sort of like hitting a tree with the driver’s headlight. To indicate which cars were truly the best, the IIHS had to come up with a way to indicate the cars that performed well on this new test. It could’ve opted for the original “Silver” and “Gold” awards, but instead, chose yet another naming scheme, adding a “+” after “Top Safety Pick.” for the new Top Safety Pick Plus (TSP+) rating. It coupled a score of acceptable or better in the small front overlap test with at least the OPTION of an automated frontal crash prevention system on that model as the minimum bar to receive TSP+. 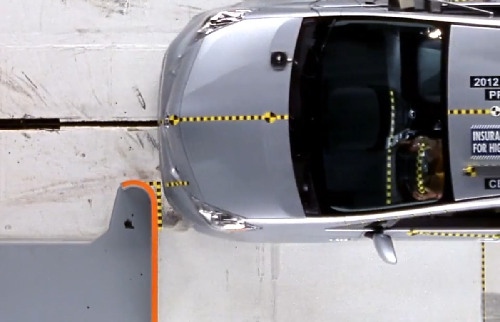 Good scores on all other crash tests are almost taken for granted, but are still a requirement. The upshot of this situation is that now cars without the most advanced safety systems and which do not score a “Good” rating on all crash tests are still called a Top Safety Pick. However, the significantly safer cars in any given segment are Top Safety Pick+ rated. 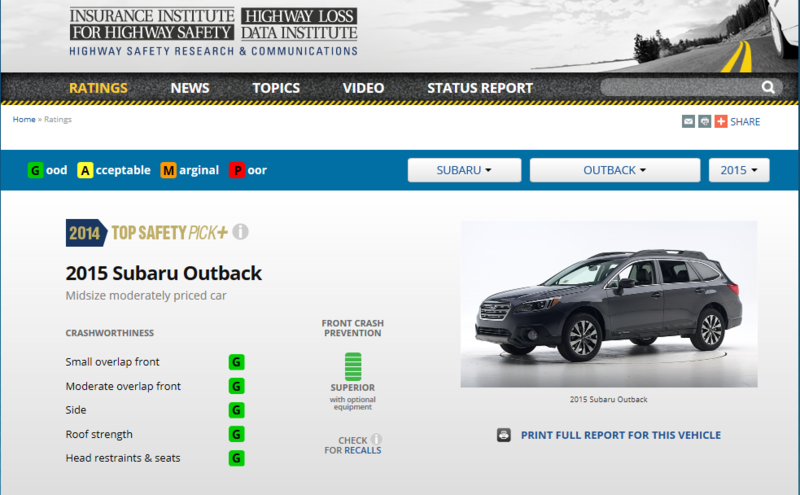 IIHS effectively diluted its rating system since a little + is easy to miss. Now all cars can seem equally safe when shoppers look at websites discussing cars. Even worse, automakers like Subaru with excellent forward crash prevention systems don’t include it on all trims. 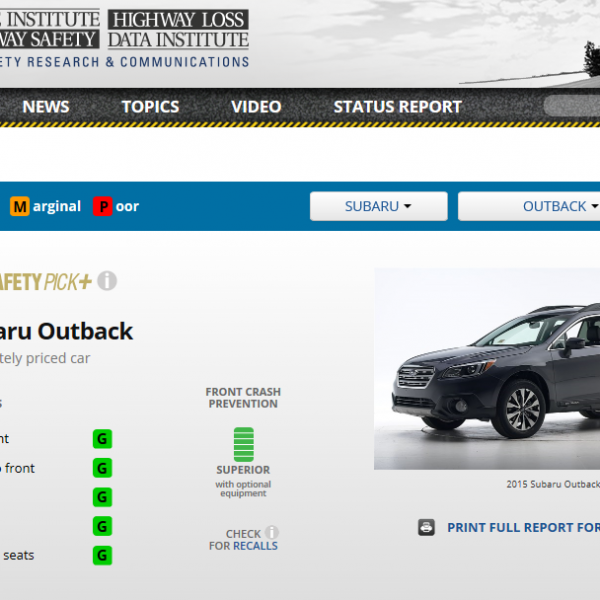 So, for example, the Subaru Outback can be advertised as earning the Top Safety Pick Plus rating, even though much of the inventory on its dealers’ lots are not actually TSP+ eligible because the forward crash prevention system is not included on top-selling trims. 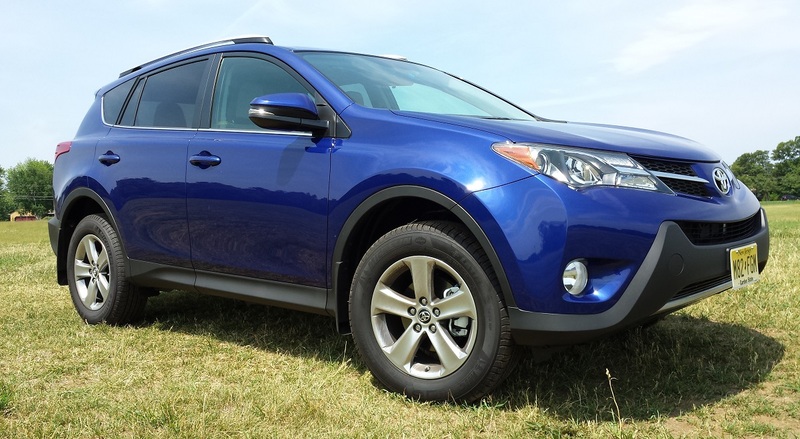 I recently tested a 2015 Subaru Outback and found that my $31K test car was not equipped with the system. If the media fleet car does not have the system, how many for sale do you think have it? IIHS remains a respected safety reporting agency that has done significant things to improve the safety of our vehicles. However, its long-standing inability to come up with a consistent naming convention for its awards now makes it much harder now for shoppers to compare and contrast the safety of models in any given segment. Safety Rating Institute Demotes 15 Vehicles to Lower Rating - Is Yours on the List?